Buying and owning property in Costa Rica, or any foreign country can be a confusing and intimidating process. How can I make a safe and efficient transaction? Can I just leave everything up to the lawyer? What are my rights as a foreigner? Can squatters invade my land? These and many other questions will be answered in the information provided in this guide. Costa Rica does have a system, although not perfect, it works fairly well. Thousands of foreigners have safely invested here. You can be one of them. Unfortunately, many people become so enchanted with the country and it’s people that they fail to exercise good judgment and common sense, or another familiar scenario… making decisions on what “they thought they understood to be the rules”. In Costa Rica, you will find similarities to stateside rules but many aspects of the system are different. Take the time to learn the basics! Also, as a buyer, being somewhat knowledgeable during the process will cut down on wasted time looking at properties that don’t fit your needs or properties that are unsuitable for one reason or another. The information provided here will go a long ways in getting you started. Property or Finca – The basic categories. In Costa Rica, foreigners can own titled property in their own name and share the same rights as a Costa Rican citizen. There are two documents which, similar to the states, describe “titled” or fee simple property ( land outside the beach zone ): First, the title itself orescritura. Titles are registered in the national registry or Registro Nacional, and show ownership along with any leans, mortgages, or judgements. The second part is the registered survey map or plano catastrado. The plano serves the purpose of recording measurements, size and location along with other useful information like whether the land falls inside restricted areas such as IDA Land (co-op owned lands with the government) or inside protected areas like national parks and reserves. NOTE: The escritura and the plano may be different from each other and yet refer to the same property. The plano is NOT the ownership document and may even reflect a previous owner’s name. Ownership of the land (title or escritura) is recorded in a separate department of the national registry. Both parts must be checked to verify that ownership and mapping coincide with the same piece of land. These two departments are currently making internal changes to make the process a little less clumsy. Once a property is titled for the very first time (original inscription), there is a three-year “incubation period” where third parties can make a claim. However, any new claims must carry a fair amount of proof before a title can be challenged. After three years, a claim can still be filed but calls for extraordinary circumstances. There is a ten-year statue of limitations for such claims. (Titled Land) It is common in many land transactions to not claim the actual selling price but declare a lower value so as not to pay higher taxes and registration fees. This is the buyer’s decision but may not be advisable in all cases. If there were ever a future claim against the seller or the government, or you wanted to mortgage the property, any reference would be made to the recorded value and not the actual price that was paid. You may also consider that in the future if you resell the property, it may be more difficult to explain a substantial difference between what you are asking and what you paid for the property. Consult your lawyer before making this decision. … also called “possession” land. Most of the land in Costa Rica falls in this category. Even though many lands are untitled, it does not mean that they do not qualify for title. Some do and some don’t. In a possession scenario, it is the recording of the legal transaction that establishes possession or ownership rights…not a title. The reason for this is that for many years, farmers and settlers (for any number of reasons) never applied for their title but possessed them in a “legal manner”, established boundaries and transferred rights through private documentation. When properly recorded, these rights are completely legal, fully transferable and can qualify for inscription in the national registry as fee simple title. Legitimate possession rights can be demonstrated by researching the history of ownership recorded through private documentation. This is done through a properly recorded bill of sale in a lawyers protocol book. The bill of sale or carta de venta shows transfer of ownership and describes the property in words relating to the surrounding properties and well defined landmarks. Pages from the lawyer’s protocol book are then registered in the national registry. The other side of the possession issue, are lands occupied and claimed by illegitimate settlers or “squatters”; someone claiming rights of ownership but have no “ownership documentation”, only that they occupied the land for a certain amount of time. In these cases, there may be some form of rightsestablished but it is more difficult to define. Costa Rica does have a homestead law or precario law that sets the guidelines, however it is outdated and needs to be modified. Sometimes there is a clear distinction between “legitimate possession” and “illegitimate possession” and sometimes there is not! BEWARE! In 1941, a titling procedure called Ley de Informacion Posesoria was created by the government as a means for landholdes to record or “register” their land that has been “held in possession”. Many lands have been registered using this procedure. Minimum requirements to qualify for a registered title to possession land are a registered survey and verifiable history of legitimate possession “passively and publicly” for a minimum of 10 years with no disputes. The remaining parts to complete the title process are notarized statements from adjacent property owners along with a judge’s inspection and review of all documents. This process, done with the help of a lawyer, can take up to a year (possibly more) and cost between $1,500 and $3,000 depending on the size of the land. NOTE: Possession lands cannot be liened or mortgaged as they have not yet been recorded in the national registry. In some cases, a buyer will pay for the title process after the sale or even make it a condition of the sale or escrow. Keep in mind that not all cases are alike. It takes a good understanding of the history of ownership for each property. In general terms, it is a good rule to not buy untitled property if you are not clear about how it works. However, considering that most of the land in the country is untitled, it is logical that most of the land transactions have to do with untitled land. Many people have safely bought possession lands including foreigners. Many foreigners here in the Caribbean have purchased possession land. or Maritime Zone lands are dealt with in a different way. The Maritime Zone Law or Ley Zona Maritima Terestre 6043, commonly called the “Concession Law”, was established in1977 and defines the Maritime Zone (ZMT) as the 200 meter strip of land along the shoreline, calculated from the “average high tide”. 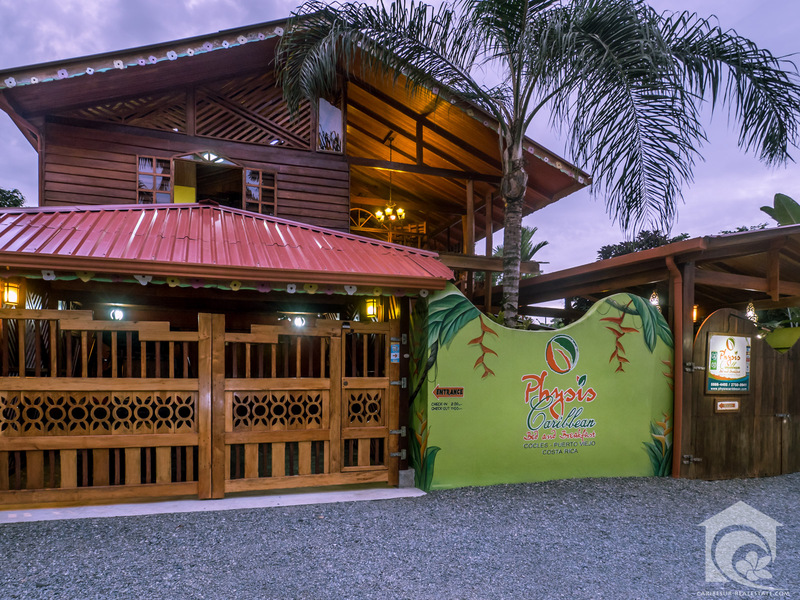 It is owned by the state and jointly administered by the local Municipality and the federal institution of ICT (Costa Rican Tourist Institute). The ZMT is described in two parts…the first 50 meters is public domain or “public zone” and cannot be developed or claimed by private persons. The next 150 meters or “restricted zone” can be legally claimed and occupied by private citizens by soliciting the Municipality for the rights through a “concession application” called a Solicitude de Concesion. Initially, the legal instrument that constitutes the right of occupation is called a Permiso de Uso, essentially a lease or Ariendo, which is registered with the Municipality by submitting a Solicitude de Concesion. In our Canton, the Municipality is in Talamanca. Contrary to popular belief, these leases have no time limit as they are designed as an “interim right” of ownership until proper zoning and concessions can be processed and registered. Stories of 99 year leases etc. are simply untrue. According to the law as it is written, the lease holder has the right to occupy the land and build a temporary structure. However, it’s important to note that Municipalities around the country handle the building issue in different ways. Even though constructions of all sizes and types have been allowed by the Municipalities, certain risks are involved depending on how you go about it. Each occupant pays a yearly “occupation tax” or canon to maintain their Permiso de Uso. Traditionally, taxes have been quite inexpensive… normally less than $30 for a few acres. However, these days, many Municipalities are establishing new guidelines and raising taxes. Legally registered occupants can transfer their rights by way of a Cession de Derechos, where the registered occupant “gives up his rights and passes them on to another person”. Transferring rights is a simple process but there is a very specific format that must be followed. The transfer or traspaso MUST be ratified by the Municipal Board or Consejo. Even though the law does not require an attorney to process lease transfers and concessions, the vast majority of people who buy land inside the ZMT, logically, go through an attorney. Anyone can process the paperwork themselves and just get the attorney to notarized a few necessary documents. My office has processed many transfers without using an attorney. This is not to say that it is a simple process. You still need to understand it and follow up until the transfer is recorded. This is where most attorneys fall short. They present the documents and feel their job is done when in fact… it’s the approval and recording portion of the process that requires the most attention. There are currently over 800 transfers waiting in the Talamanca Municipality, many have been there for several years…. most all of them done by attorneys. Zoning and Concessions: Over time, individual sections of shoreline property will be declared as having “touristic aptitude”, thus qualifying that section of land for traditional style zoning which is implemented through a zoning proposal or Regulatory Plan called aPlan Regulador. Once the Regulatory Plan is elaborated and approved through the corresponding institutions: ICT, INVU and the Municipality, the legal occupants inside the newly zoned area can now “activate” their Solicitude de Concession and transform theirPermiso de Uso into a Concesion, a permanent and more specific form of ownership outlined in the ZMT Law. A Concesion is as close to a title as you can get even though the land technically is still owned by the state. The Concession Contract, spelling out the terms of the Concesion, are inscribed in the National Registry giving the Concession holder more security with clear rights to develop, transfer or even take out a mortgage. Concessions for residential and tourist projects are automatically renewable every 20 years for eternity assuming terms of the Concession Contract are met by the Concession Holder, which basically are… respect the public zone, pay your taxes and develop in accordance to the zoning regulations laid out in the Regulatory Plan. New taxes are assessed for each Concession and are substantially higher than the previous occupation tax. If you were paying thirty dollars for your occupation tax you could pay a few hundred dollars for your Concession tax. Even though there has been a substantial amount of development in the ZMT, to this day, 95% of the coastal lands in the country still do not have approved zoning or Concessions. And since development cannot take place without property zoning, 95% of the development inside the ZMT country wide is technically illegal. Also, since concessions are only granted once there is approved zoning, 95% of the lease holders have a Permiso de Uso… NOT a Concesion. This fact may sound alarming but basically, central government recognizes the fact that zoning the coastline has not kept up with actual development allowed by the local government. In most cases, existing development will be “grand fathered in” once zoning eventually takes place. The “purchase” of rights to beach property is essentially a private agreement between the buyer and seller. Technically, the law does not allow “buying and selling” of state domain. That is why a token amount for the value appears in the public transfer documents instead of the actual purchase price. Costa Ricans or foreigners having 5 years of residency can register beach property in their own name. All other foreign citizens must register the rights to their beach parcel through a Costa Rican corporation formed by an attorney, a simple process that takes about 45 days and costs around $600. The corporate board of directors may be formed by foreign residents but the corporation must have at least fifty percent of it’s shares held by a Costa Rican resident. You will see the initials S.A after many corporation names. This stands for Sociadad Anonima or “anonymous society” which is the most common type of corporation used because shareholders have anonymity. Normally, a prearranged agreement is made so at the time of closing the property sale, the Costa Rican shareholder endorses their shares over to the foreign shareholder so they end up holding 100% of the shares. These are “bearer shares” and are registered in a private registry (the corporate books). This procedure has been common practice around the country however some lawyers have devised other methods by holding the shares in a “legal trust” as opposed to endorsing shares at closing. Most lawyers will set it up however you ask them but be sure to understand how it works before you decide. “What do I do if I am an absentee owner. How do I protect my land from being occupied by third parties?” The answer is simple, have someone responsible check on it once a month while you are gone. You can also have someone live on the property as your caretaker. If you hire a caretaker, draw up a written agreement and have it notarized by an attorney. Handshake agreements can be full of good intentions but may be a problem later. Don’t make this avoidable mistake. Get it in writing. Articles in the civil code outlines Costa Rica’s homestead law or Precario law. Basically, the law allows peaceful occupation of “untitled and unattended land” unless there is opposition by the existing owner. If your land is unattended and someone moves onto the land, they begin to establish certain rights after three months. Action for removal is required before the end of the third month but the process is less complicate than if they occupy the land for a longer period. If squatters have occupied the land for more than three months but less than a year, the process of eviction called desalojar or desalojo, becomes more involved. Although eviction is more complicated, you are not yet required to reimburse the occupants for their “improvements” to the property. If the land is occupied for more than a year but less than ten years, you may still be able to recover the property, but the legal process may take years and you will be required to make a settlement for the “improvements” made by the occupants. “Improvements” can range from the construction of shacks, planting of crops and even cutting of trees to clear the property. Improvements and compensation are established by the court. In most cases, it is best to negotiate an out of court settlement. If someone is living on a property you are interested in buying, be it the owner, a relative, a worker etc., you must be sure this is addressed and settled as a condition of the transaction. Precario rights can affect both titled and untitled land but the process of eviction for titled property is in theory, faster and less complicated. The department of IDA, The Agrarian Development Institute, was established in 1961. This government agency was formed when Costa Rica was trying to develop and expand it’s farming production. The institute was designed to represent landowners in cases where legitimate possession rights were being challenged or where land was not being utilized for some form of productive agriculture. One job of the institute is to defend the rights of the possessor as outlined in the precario law, sort of a public defense body for peasant landowners unable to defend themselves against larger landowners trying to “expand” their territory. However, there are many cases today where the system is abused and people fall victim to “de-facto tenants”. That is why it is important to know the history of possession and above all. follow the rules. If ownership is legitimate, it must be demonstrated within the guidelines outlined in the law. It is important to remember that the precario law and the recognition of possession rights is considered the first step in the titling process and is the basis of how many lands were originally settled and eventually titled in Costa Rica in a legal manner. In Costa Rica, there is little governmental regulation of the real estate industry. However, a knowledgeable real estate expert will be invaluable in helping you with many aspects of your purchase. Get a local recommendation for an agent with a good track record. Ask several of the foreigners living the area who has the best reputation in town… and then ask the agent for some references. In general, a good agent performs a more critical role than stateside agents as the system in Costa Rica is far less sophisticated. There are no formal escrow companies, mortgage companies or banks that assist in the process. In some ways, this puts more responsibility on the agent. For example: All listings must be thoroughly researched before a property can even be considered, especially in rural areas. In some cases, a field agent will not only show you property, but also work directly with the lawyer, the surveyor, the property owner, the registry, and follow up on a host of details until the transaction is completed. The agent represents both the buyer and seller so that when it’s time to draw up the sale document, all issues are discussed and agreed upon before closing a transaction. In any field of endeavor, competency is paramount. Never more so than in successful real estate transactions in Costa Rica. Agent commissions are normally paid by the seller but in some cases, the buyer and seller may split the commission if agreed to in advance. NOTE: Beware of people off the street…bartenders, taxi drivers, hotel owners, etc. ( Costa Ricans AND foreigners ) that offer to sell you property. They have no sense of real estate as a business and the attraction of a commission from the seller may outweigh their concern for the protection of the buyer…YOU! There are many properties in Costa Rica where ownership rights are unclear, borders are undefined or properties with problems due to hidden conflicts of one sort or another. Getting a lawyer is not enough! A knowledgeable field agent that knows the area and the history of the property will not only show you qualified properties, but will help work out many issues before it’s time to finalize the details with a lawyer. A good agent will also help educate you so you can make an informed decision! Whether you hire a liscensed agent or work with a ‘street agent’ – you do not save anything on the commission. The SAME commission is paid to liscensed agents as it is to ‘street agents’. The main difference between the two is that the liscensed agent has his/her lisense and reputation to protect. The street agent has nothing to loose and may be more willing to stretch the truth in order to make a sale. Once you have found the property you want to buy, you will need an attorney / notary to execute the transaction. As with real estate agents, it is typical for an attorney to represent both the buyer and seller. It is the buyer’s right to select the attorney, an important step. Equally important as selecting your agent! Ask around and get a good recommendation by others that have had a good experience. Again, you may want to ask for client references. Documents are in Spanish so if you don’t speak and read good Spanish, make sure your attorney can translate them for you. Only a state certified Notary can authenticate a real estate transaction. In Costa Rica, a Notary must also be a lawyer. However, some practicing lawyers are not Notaries but work with a partner that is the official Notary. This is not a problem. Just make sure it is clear that all documents will be certified by your attorney or his / her partner. Keep in mind that a lawyer may not cover ALL the issues in some land transactions, be them titled, untitled or beachfront properties. Some, which may need to be considered in the sales contract. In most cases, the lawyer never even sees the physical property and can’t advise you on issues such as describing physical access (it may differ from access shown on the survey map), or that the survey map coincides with the physical borders like fence lines, and in some cases ( as with possession property ), organize notarized statements with bordering neighbors stating there are no boundary disputes or usage agreements with third parties. Also, describing and guaranteeing water rights, and how to handle existing tenants or crops. Another example is in transferring beach leases. The lawyer’s job is basically finished when the documents are presented at the local municipality. Who will follow up to make sure the transfer is approved? A good agent will. Your agent plays a vital role in the entire process. Get a good one and remember…getting a lawyer is not always enough! Unless agreed otherwise, it is customary for the buyer to pay the closing costs / transfer fees. If the seller chooses to hire his/her own attorney to represent him/her, then these charges are the seller’s responsibility. Typical costs are shown below. The state sets a national fee which most lawyers abide by. However, fees may vary between a San Jose Lawyer and a small town lawyer and may also reflect other work performed by the lawyer that are outside a typical transaction. Established fees are set at 1.5% of the sale price for the first million colones, 1.25% between one and ten million colones, and 1% above 10 million colones. One million colones is approximately $2,000 US. DOCUMENTARY STAMPS: 0.55% (approximately) of the declared value for stamps affixed to the documents. Although the constitution allows equal access of credit to both foreigners and nationals, it is more difficult for foreigners to qualify. Out of country collateral and income is not normally considered by the banks. In some cases you will need a co-signer or fiador. Even then, interest rates are very high so it is probably more practical to bring funds from abroad. In addition, many properties don’t qualify for a mortgage. Beachfront property with a permiso de uso doesn’t qualify for a mortgage (not even for Costa Rican citizens) because the land is technically owned by the state … not the occupant. Untitled property is also non-attachable, therefore, unable to mortgage. On occasion, some terms may be negotiated with the seller but are usually short in length. For these reasons, most all real estate transactions are paid in cash upon closing. Collection of land taxes was turned over to the local municipalities several years ago. In the case of private land (both titled and untitled), property tax or vienes imuebles previously paid 6% of the declared value based on the Tax Law No. 7509. In May of 1995, this code was changed and the tax was lowered. According to the new law No. 7729, taxes are based on 0.25% of the declared value. In most cases, lower values are claimed than what the actual selling price was. Maritime property or permisos de uso pay an “occupation tax” called a canon. Again, very cheap. A one-acre beach lot with no structures pays less than $50 per year. Improvements like a house etc. are taxed in addition to the canon and pay a vienes imuebles tax based on the value of the construction. A medium size house on a small beach lot normally pays less than $100 per year. Once a beach property has been awarded a concession (only after an approved zoning plan is in place) the tax goes up dramatically and depends mostly on how the property was declared i.e. residential, commercial etc. The process of getting permission to build (outside the beach zone) can be complicated depending much on where your property is. Beachfront development has a different set of rules as compared to private land (see section on the Maritime Zone). Although it is national code that regulates building, practical application will vary in populated areas like San Jose versus rural areas such as the Caribbean area. Code is not nearly as strict as in the states. In rural areas, it is quite simple. You must present proof of ownership and a set of building plans signed by a Costa Rican architect. There is a preliminary study and an anteproyecto performed by the architect. Set fees for architects are between 4%-6% of the value of the construction. For larger projects, you may be required to do an environmental impact study and possibly another study for supporting infrastructure…at your own expense. For residential construction, it is a single permit issued at the local municipality with a one-time inspection before construction begins. In rural areas, follow up inspections are rare. It is the architect’s responsibility to make sure you follow the approved plans. You must have a proper septic system and water supply. The permit process should take a couple of weeks not counting the time it takes to draw up your building plans. In rough numbers, you can build a moderate size, furnished, two-bedroom house for around $40,000. Granted, they are of a simpler design but decent quality. Some materials like cement and wood are equal to stateside prices but labor is very inexpensive. General labor costs are around $15 per day and a decent carpenter or block layer will cost around $25 per day.